Tis the season for eggnog chugging at my house. I practically had to pry the carton away from all these boys in my house to make these pancakes. So glad I did because these absolutely must be shared. 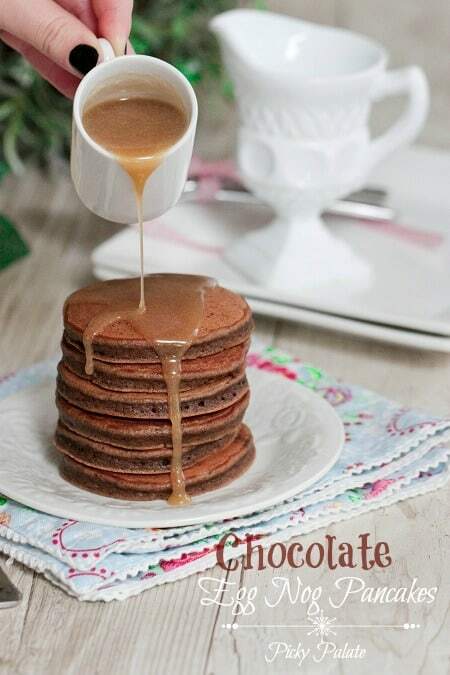 What a perfect Holiday treat for breakfast. Wait until you get my Caramel Eggnog Syrup recipe coming first thing tomorrow morning. Heaven! One bowl, little mess, big reward, lol! Enjoy my cute baby festive pancakes! Any thick creamy fabulous nog will do the trick. You do not have to hunt down this exact one. 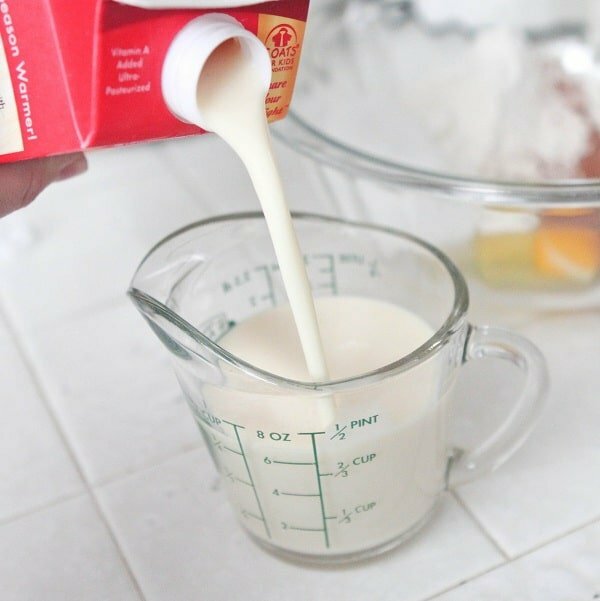 Add your nog right to the bowl. Give her a good stir until thick and combined. I chose to make the baby size pancakes but make whatever size your hearts content. Now, the best part, start drizzling my Caramel Eggnog Syrup over the top! Heat a medium non-stick skillet over medium low heat. 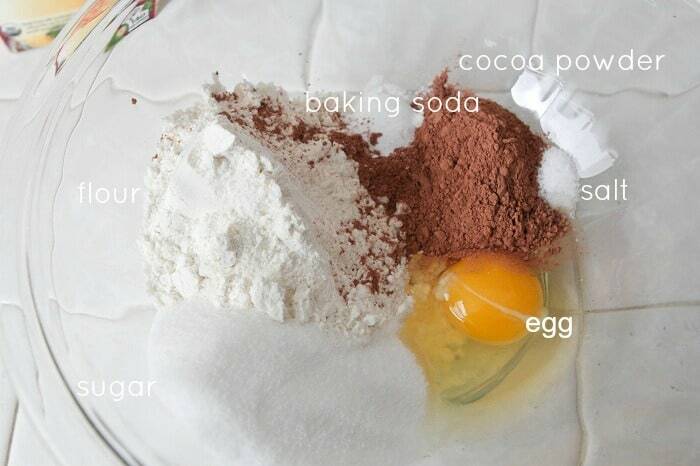 Place all ingredients into a large bowl and mix until combined. 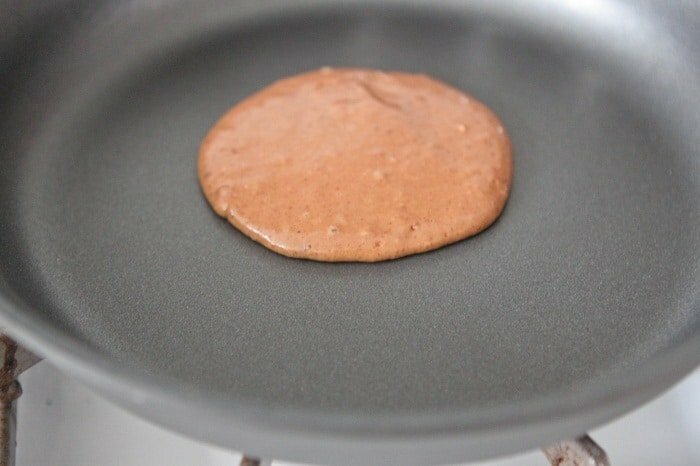 Spoon batter into hot skillet, quickly forming into a round circle. Let cool for a minute or two until the top is starting to bubble slightly. Flip and cook for another minute. 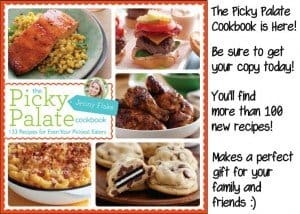 Transfer to a plate or parchment paper. 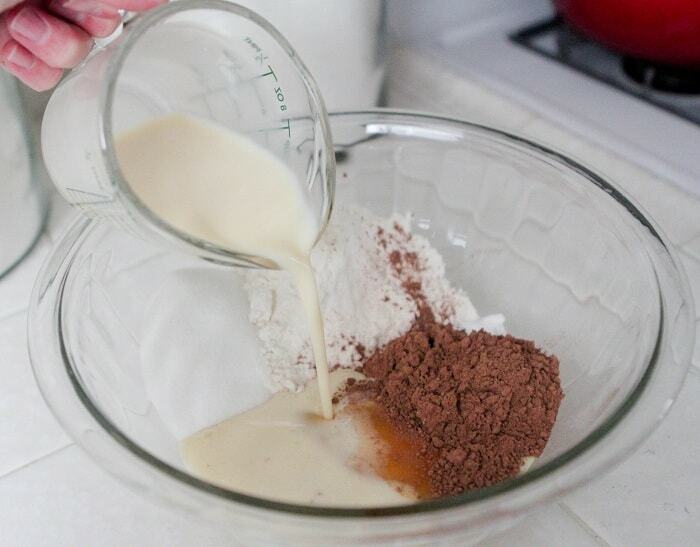 Continue cooking until all of the batter is used up. 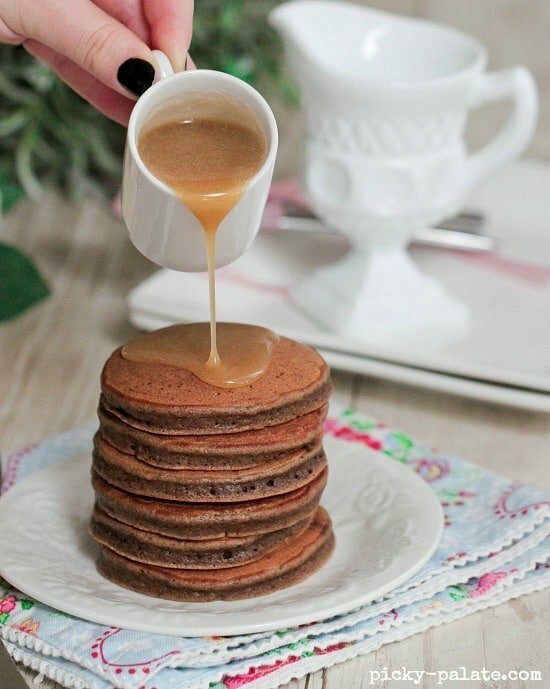 Serve warm with my homemade Caramel Eggnog syrup. 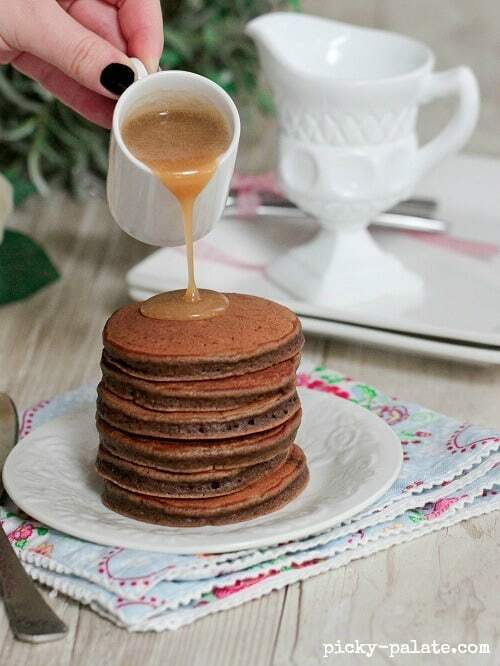 Adorable little pancakes and until I see the mini syrup pitcher and your hand they didnt look that small, but they are. So cute! Jenny! These look so good! 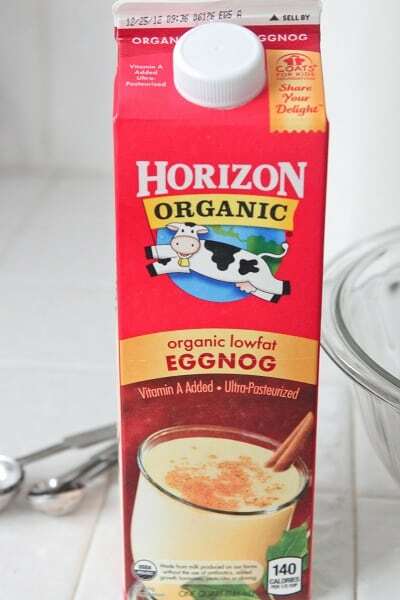 I must admit, I am not a real egg nog fan, but these look good enough to try! Your pictures are so stunning too! 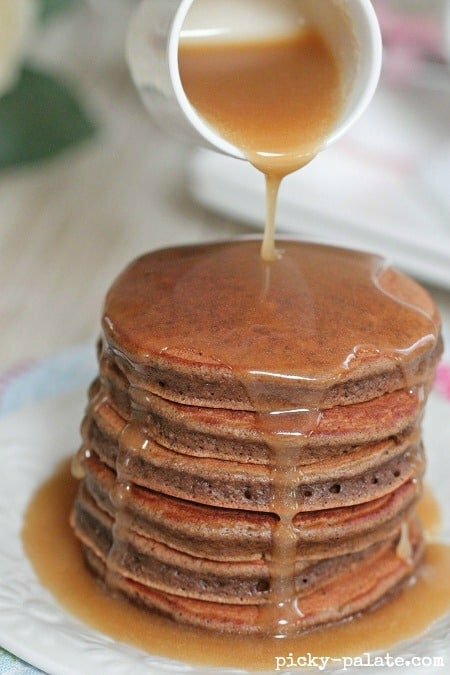 The last couple with the caramel syrup look soooo yummy! MMMmmmm! Cant wait to see that post! I am seriously in love! 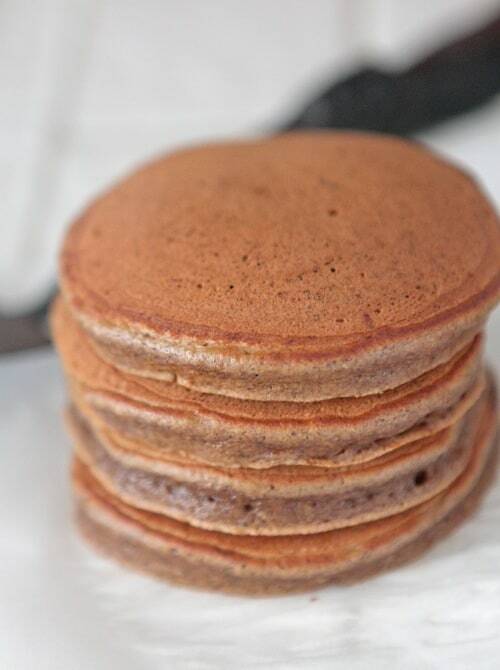 I’ll take a stack of those delicious cuties! 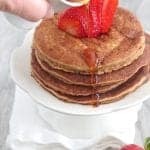 Drooling, I would never think of using eggnog in my pancakes. Yum! I can’t get enough of this! Simply delicious! 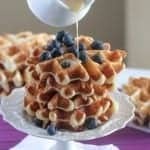 Mmmm…I want these for lunch! 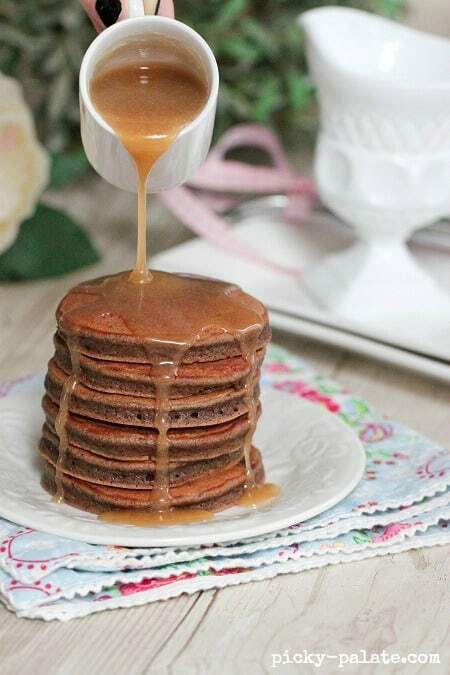 these pancakes are too cute! These look WONDERFUL. . your photos are killing me!!! AH, look so good!!! Those are SOOOO cute. 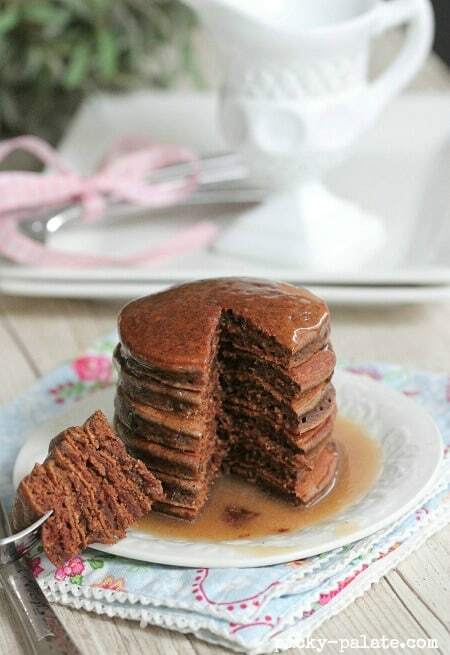 I want mini cakes! 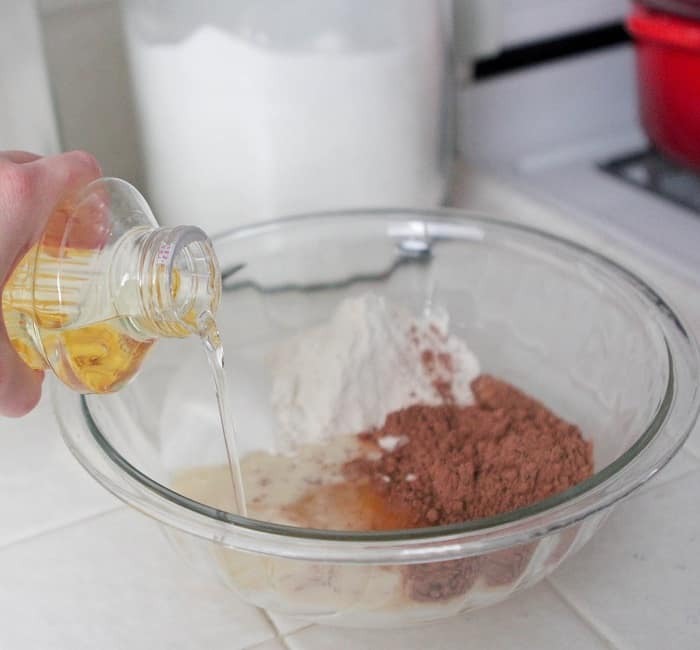 Cannot wait to see your Caramel Eggnog Syrup recipe tomorrow. Sounds AHHMazing! I made these with the syrup this morning and they were AMAZING! The batter need to rest for half and hour? 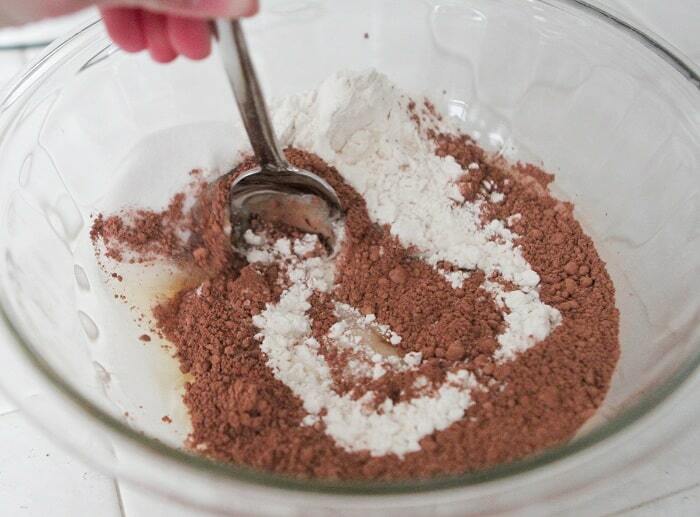 or just cook after batter mix well? An unputdownable language may be worth mention. I expect that you should make many about this issue, it electrical power not be described as a inhibition scenario but generally grouping are not enough to be able to speak on such subjects. To the actual succeeding. Cheers such as your Khmer Karaoke Celebrities .